It seems to happen almost every game now, and even multiple times a game if you’re especially unlucky. Both new and experienced hockey fans have been equally confused since the start of the season, when this whole mess started to overshadow games and now it’s not just the fans. Coaches, goalies and even longtime play-by-play announcers have finally come out and said that they’re also confused by these calls. "The coaches in the league (shrugs) no one knows what's going on. We better get it solved … Let's get it fixed. Let's get it fixed before the playoffs so we all know the rules." Goaltender interference – what is it? Before this season we all had a general understanding of the rule that making contact with the goalie in such a way that prevents him from making a save or being in position to make a save results in a penalty or a disallowed goal. But, during this season, goalie interference has turned into the ultimate grey area for the NHL. One game there is goalie contact and the goal is called off, but in another game, the exact same play happens and the goal is allowed to stand. It doesn’t really matter anymore. It’s not one specific team that it happens to or one referee that is making a mistake. Not only is there no consistency anymore, but it feels like the rules have been erased and left to the whims of how the referee feels that game. The NHL won’t like it, but there is a solution that has worked just fine and it can be found at the Olympics. The issue of goalie interference is something I briefly touched on in the past when the issue of offside challenges was front and center. With that, it was in regards to a goalie being interfered with but it was called a good goal and was only given the proper call after a coach’s challenge. That was about referees missing a blatant interference call and having to rely on coaches to get the call right. The problem of goalie interference now is that the NHL isn’t consistent in deciding on what actually is interference. The problem is twofold. First is the blanket use of “incidental” contact and other situations where a player can make contact with the goalie and a goal is allowed. The second is that because there is some wiggle room for referees it means that everyone will call it differently. The NHL has a whole section of their rulebook dedicated to goalie interference and what is and isn’t a good goal. When reading through the rules it becomes hard to imagine that there is an inconsistency when making calls when it’s laid out pretty clear in the 2017-18 NHL Rulebook. Pretty straightforward and yet we still see bad calls or at least inconsistent calls on goalie interference. Personally, this wouldn’t be as much of an issue if contact on rebounds wasn’t allowed. A lot of issues come from when there is a shot on net while an attacking player is in the crease making contact with the goalie. These seem to be total toss-ups on what the call will be even though the rule is pretty clear. 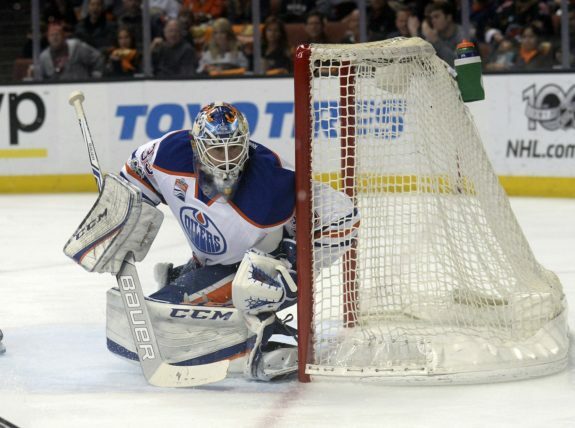 Both Edmonton Oilers goalie Cam Talbot and head coach Todd McLellan showed their frustration with the inconsistency after an Arizona Coyotes goal was allowed while a similar Oilers goal was disallowed. So either the NHL rulebook needs to be changed to be more clear and specific for any possible scenario or take out the referees ability to decide and just make the rule have no room for opinions. The best example of this can be found at the Olympics with the IIHF. There are a few notable differences between the NHL and the IIHF rules that are used at the Olympics; with things like icing, the trapezoid and the shootout being the more obvious ones. But here we are looking at goalie interference in the IIHF Official Rule Book 2014-18. So far, it looks the same as the NHL. The biggest difference comes in the form of a player not being allowed to establish position in the crease. This would not only reduce instances of potential goalie interference, but it would also give a clear rule for referees to follow. Also in Section III of Rule 184, it outlines calling back goals if a goalie is unable to get back into his crease or is prevented from getting into position. Even though these are great rules it could go even further to disallow any contact with the goalie, regardless of how inconsequential. If you don’t have the puck then there is no reason to be in the crease or touching the goalie in any way. If referees can’t be trusted to enforce a pretty straightforward rule then the rule needs to have zero tolerance. No more “let them play” mentality of some referees and playoff hockey. If you’re in the crease or touching the goalie then it’s a no-goal. Now, knowing the NHL that would make too much sense so they would never go for it. So Why Not a Coin Flip? Since goalie interference is so inconsistently called that it means coaches will take the gamble challenging it as they don’t even know what goalie interference is anymore; why not just have a coin flip to decide goalie interference challenges? Sure it’s silly and a dumb idea, but it’s right up the NHL’s alley. Goal challenges often take five-to-ten minutes that are mainly spent watching the replay over and over from different angles only to have referees making a non-sensical call on the challenge after reviewing the play on their small tablet. Nobody knows how the call will go anyways with players, coaches and analysts left scratching their head. At least a coin flip is pure. No difference of opinion just heads or tails. It also speeds up the game, which is something the NHL can’t get enough of. A 10-minute goal review turns into 10 seconds with a coin flip. And if that isn’t good enough why not have each team’s captain have a best-of-three rock-paper-scissors contest. We could make it into the new shootout, with fans standing and cheering on their captain. 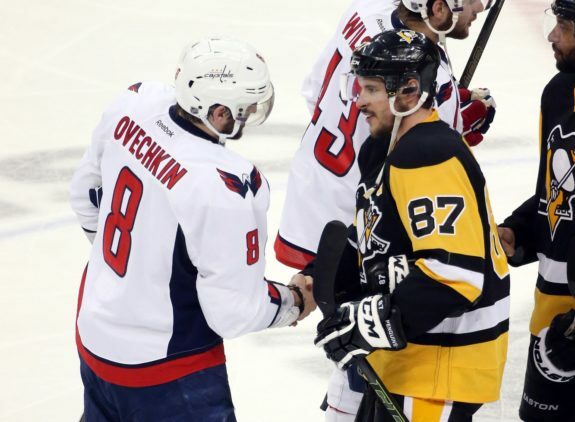 Who wouldn’t want to see Sidney Crosby and Alexander Ovechkin go head-to-head in rock-paper-scissors? That would be more exciting than watching referees on their tablets and it would still be faster. 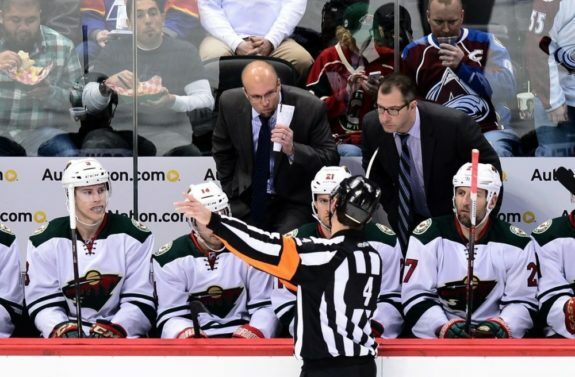 The inconsistency of the referees in the NHL is at the boiling point where it’s not just fans that are confounded. Players and coaches, who would know more than we do about the game, are also left confused. The NHL needs to instruct the referees about what goalie interference is or adopt more strict rules that would limit the possibility of interference. But at the very least put a two-minute timer on for goal reviews for the sake of fans.